Our reputed entity is engaged in supplying Grab Dredger. flat top pontoon mounted with 50 tons crane. pontoon size: 30mtr.x 8 mtr.x 2.5mtr. We are offering dredger on monthly basis with a trained pool of personnel and requisite dredging equipment, the company is poised to take up work in a big way in this line of service. We have powerful dredgers for hire, ranging from Navigation Dredger Port and Harbor Dredger Reservoir Dredger River Dredger Sand Dredger Sand & Gravel Dredger Tailing Dredger. Where Trailer Suction dredger and cutter suction dredgers cannot work, is where our Grab Dredgers and hopper barges are well suited and useful for dredging works. 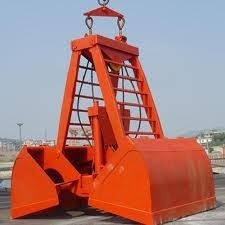 Our grab dredgers and hopper barges are useful where trailer suction dredger and cutter suction dredgers cannot work.